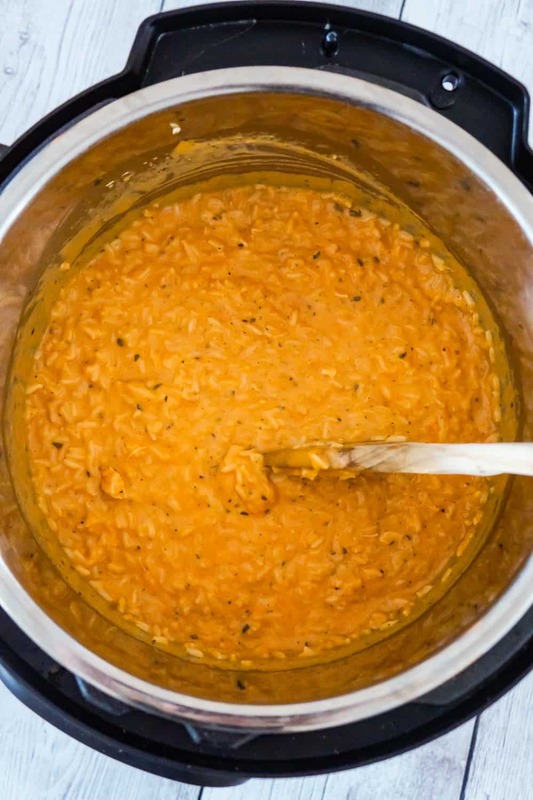 Instant Pot Tomato Basil Chicken and Rice is an easy and delicious pressure cooker recipe. This creamy chicken and rice dish is made with tomato soup and basil pesto. 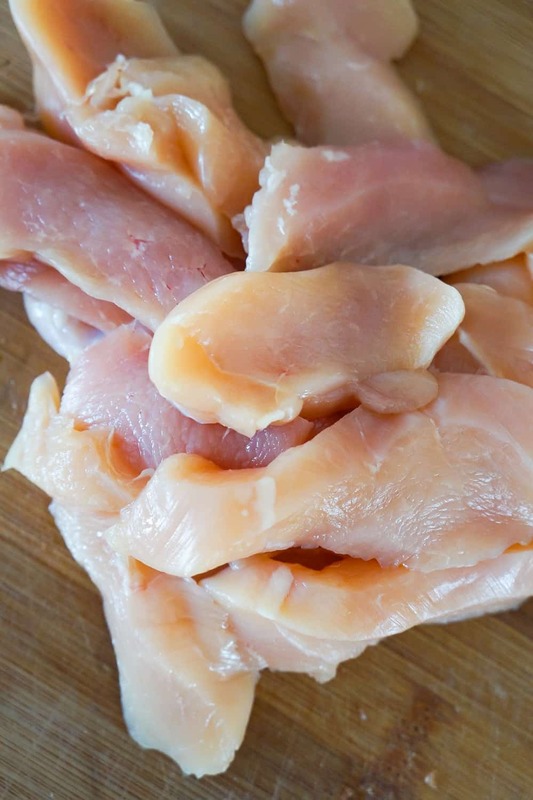 To make this Instant Pot chicken and rice, I started by slicing some boneless, skinless chicken breasts into strips. Then I turned on my Instant Pot on the Saute Normal setting. 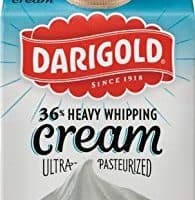 I added some margarine to the Instant Pot as it was heating up. Then I added the sliced chicken breasts to the pot. 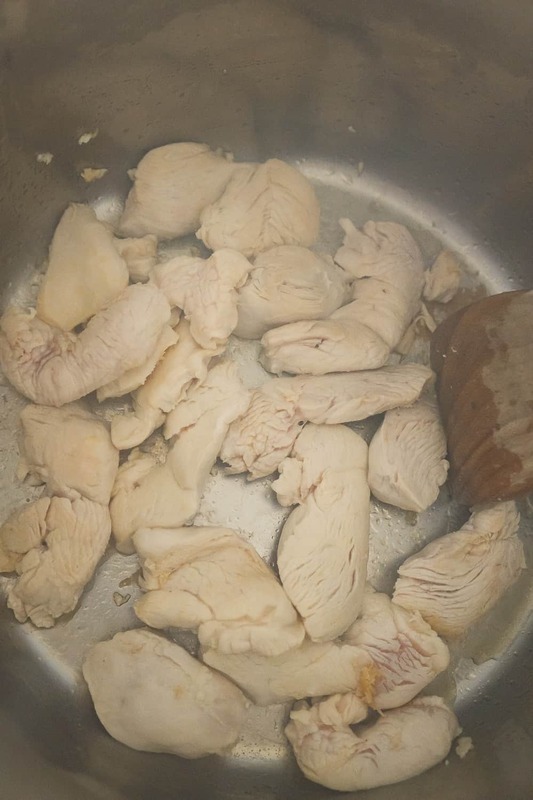 I cooked the chicken breast slices until almost no pink remained. 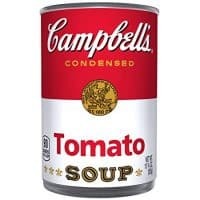 I added some water, heavy cream, condensed chicken broth and condensed tomato soup to the Instant Pot and stirred gently. Then I added some long grain white rice, salt, pepper and basil pesto to the pot. I did not stir after adding the rice. I placed the lid on the Instant Pot and turned it to the locked position. Then I turned the steam release handle to the sealing position and set the Instant Pot to Pressure Cook High for 5 minutes. Once the Instant Pot was done cooking I turned the steam release handle to the venting position for a quick release. When the steam release valve had gone down completely, I removed the lid from the Instant Pot. Then I added some shredded mozzarella cheese to the pot. 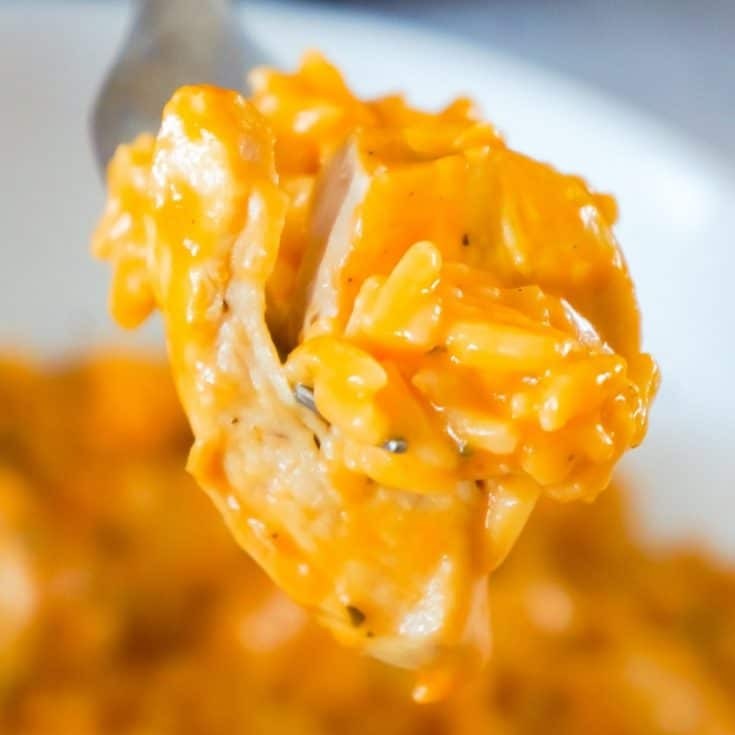 I stirred the chicken and rice until the cheese was melted and then left it to sit for a few minutes before serving so that the sauce could thicken. 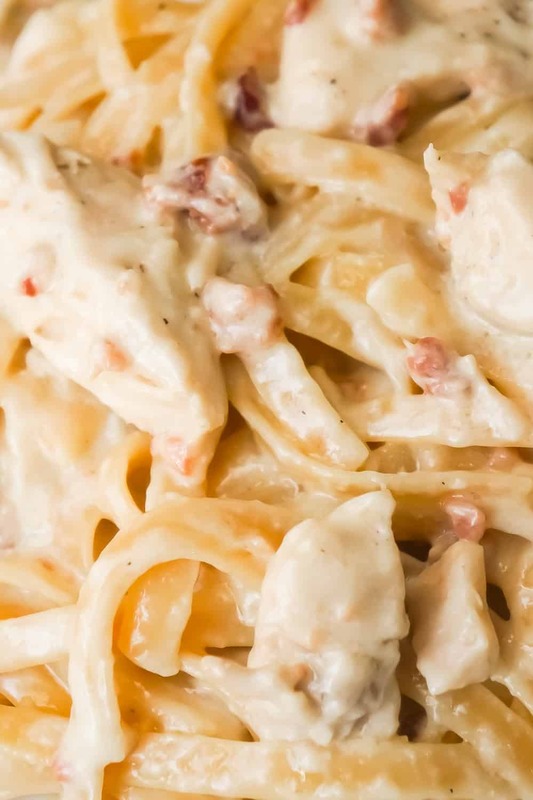 This easy Instant Pot chicken recipe is adult and kid friendly. 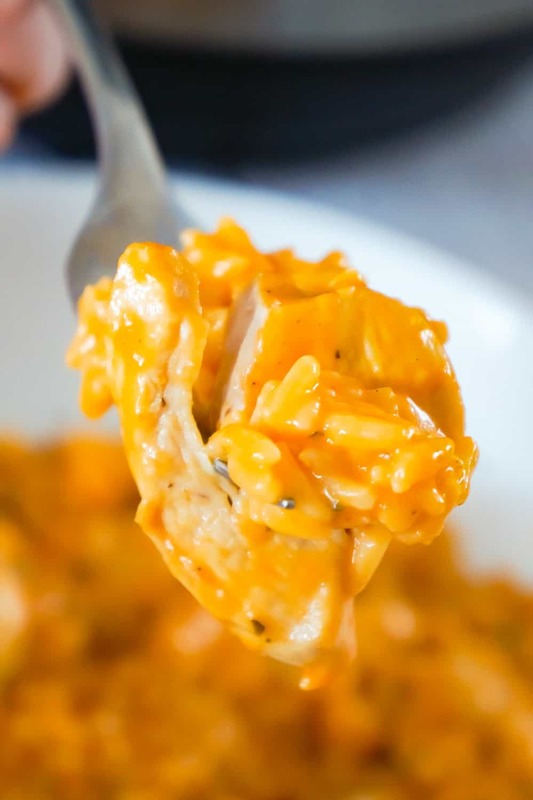 If you are looking for a delicious new recipe idea for you Instant Pot then you need to try this Instant Pot Tomato Basil Chicken and Rice! 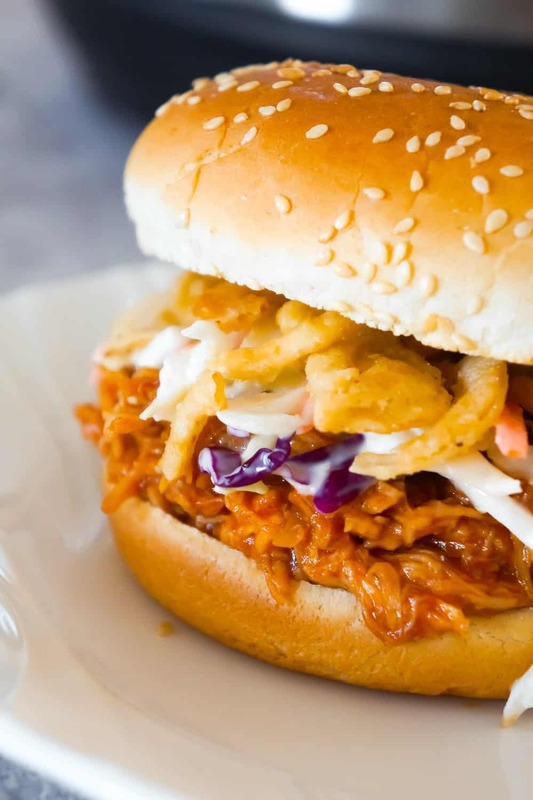 Another delicious Instant Pot recipe. 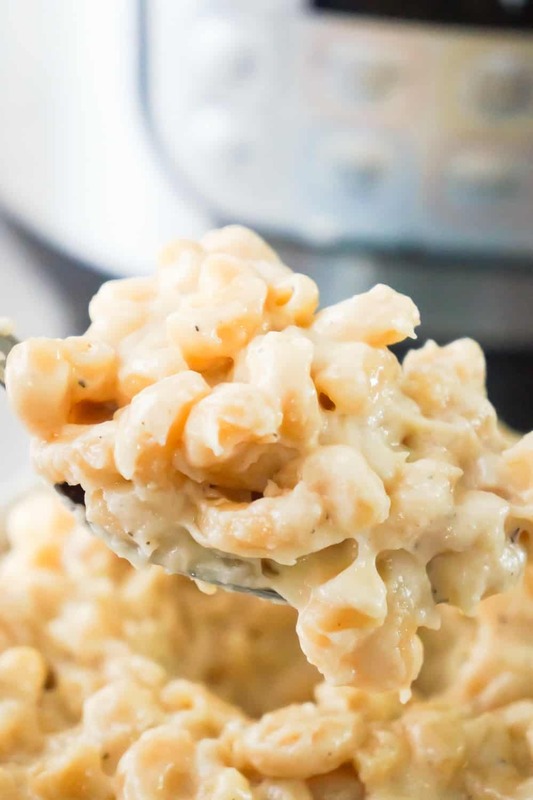 Check out this Instant Pot Mac and Cheese! Another easy chicken and rice recipe. 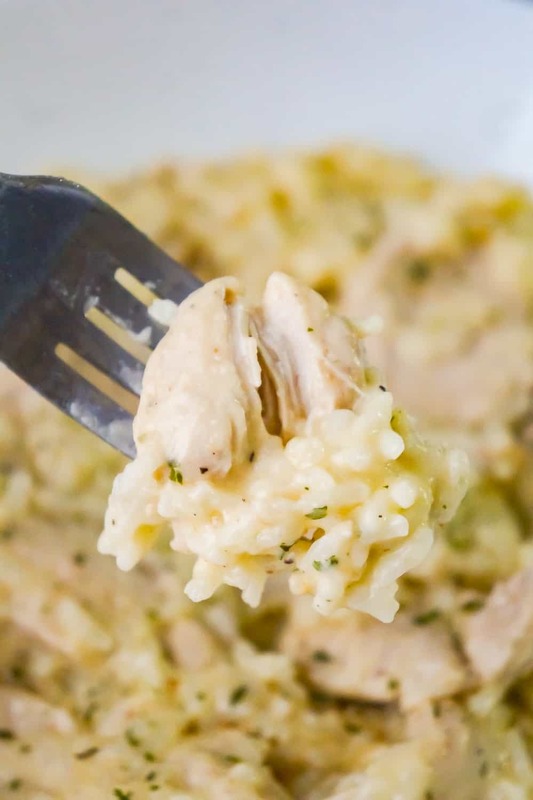 Check out this Instant Pot Garlic Parmesan Chicken and Rice! 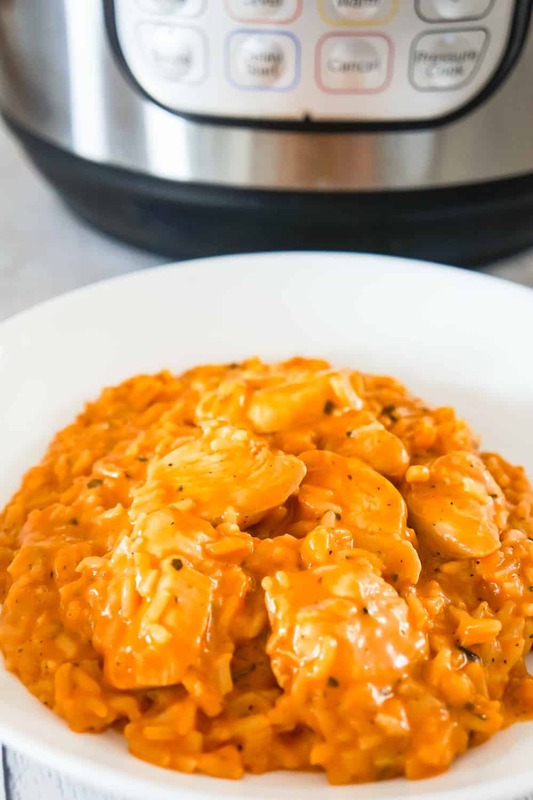 Instant Pot Tomato Basil Chicken and Rice is an easy and delicious pressure cooker recipe. 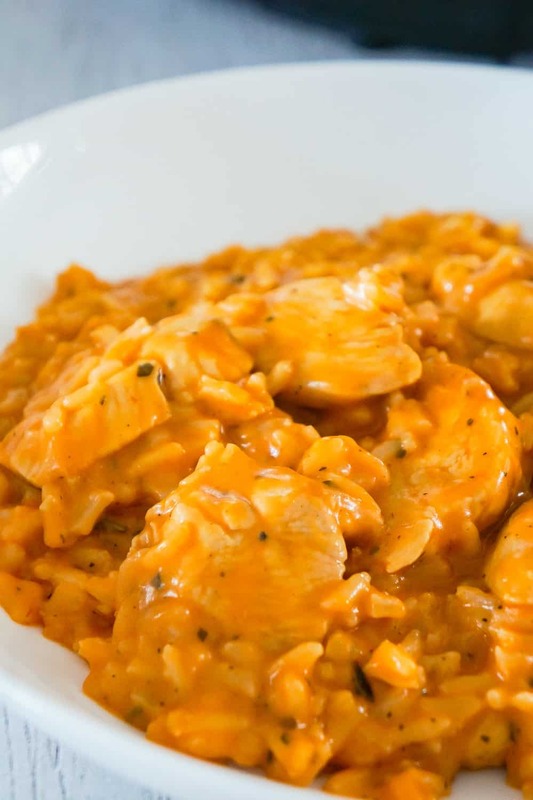 This creamy chicken and rice dish is made with tomato soup and basil pesto. 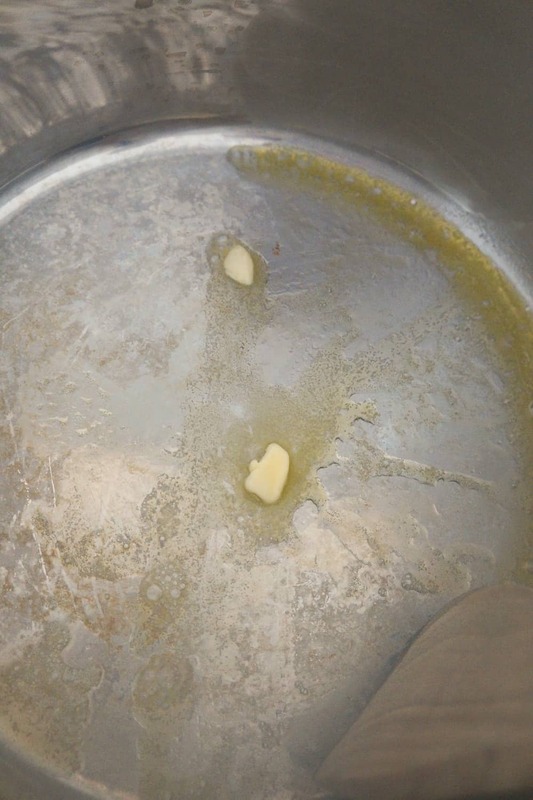 Turn Instant Pot on to Saute Normal. 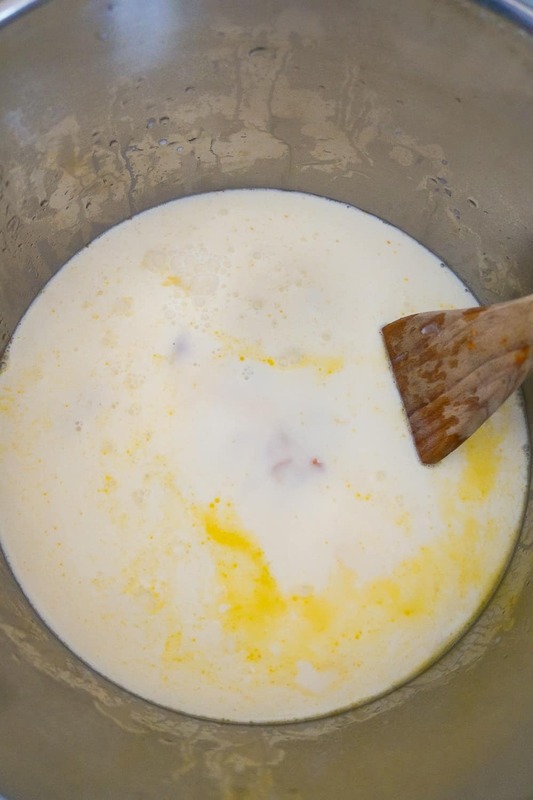 Add margarine to the pot while it's heating up. 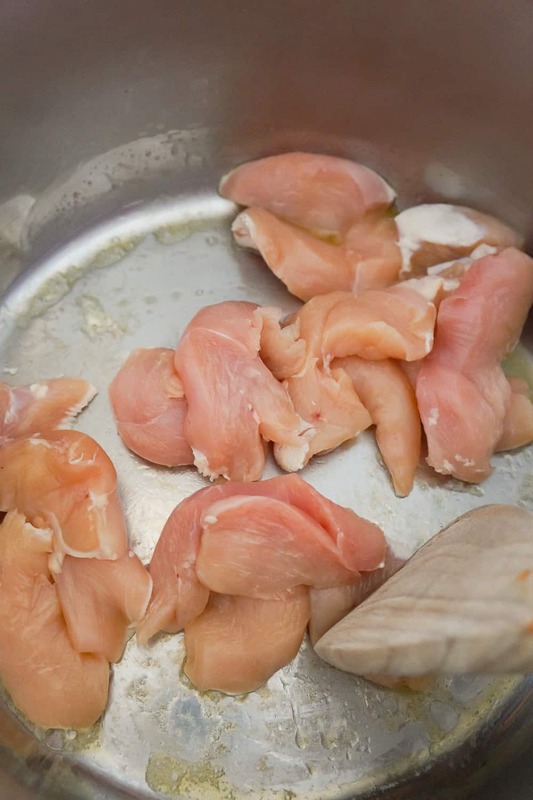 Add the chicken breast slices to the pot and cook until almost no pink remains. 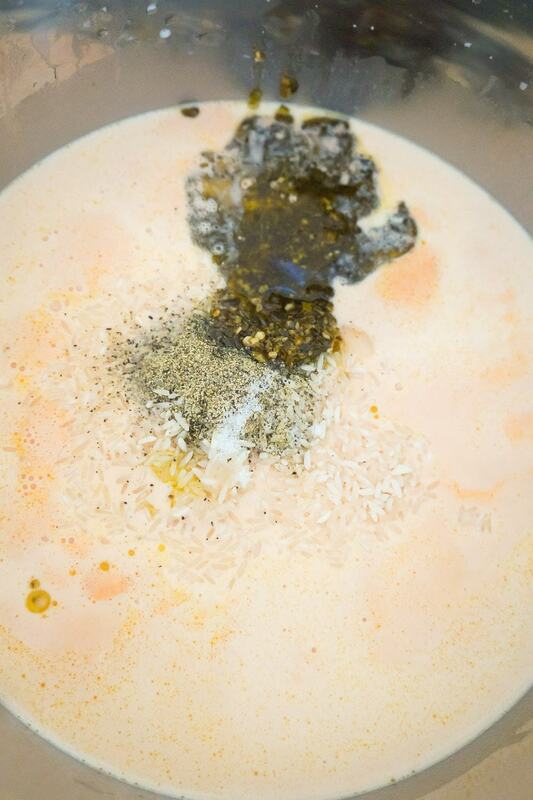 Add the water, heavy cream, chicken broth and tomato soup to the pot and stir gently. 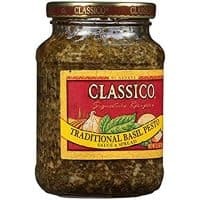 Add the rice, salt, pepper and basil pesto to the pot. Do not stir. 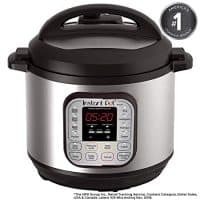 Place the lid on the Instant Pot, lock it in place and turn the steam release handle to the sealing position. Set Instant Pot to Pressure Cook on High for 5 minutes. Once the Instant Pot is done cooking, immediately turn the steam release handle to do a quick release. Once the float valve is all the way down remove the lid. Add the shredded Mozzarella to the pot. 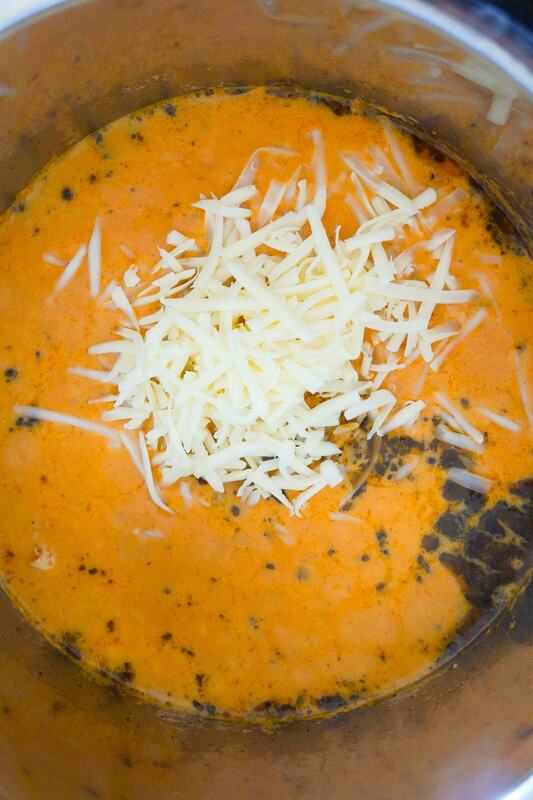 Stir well until the cheese is all melted. 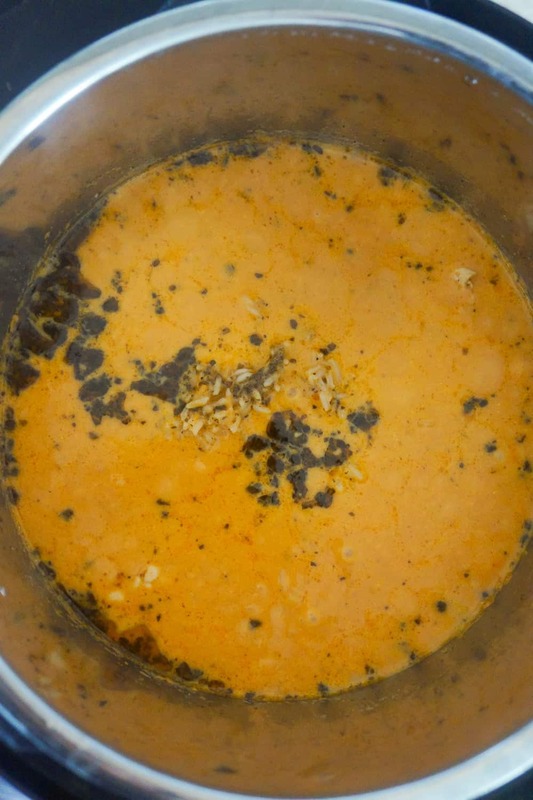 Let sit for a few minutes before serving for the sauce to thicken.